Frank Kaminsky is a 7-footer with three-point shooting range and guard-like ball skills, but there are plenty of off-court reasons why he’s worthy of being a first-round NBA draft pick. The 2015 Naismith and Wooden awards winner showed the nation as much during Wisconsin’s second straight Final Four run this season, pairing with Nigel Hayes, Sam Dekker and the rest of the Badgers to form a team that was not only one of the country’s best, but most entertaining. Now that Kaminsky is headed to the NBA, let’s run through some off-court occasions that undoubtedly boosted his draft stock. This might be peak non-basketball Frank Kaminsky. In this video from November 2014, he showed his comedic chops in a brief skit with Fundamentally Sound, a Wisconsin a cappella group. When the video turned from basketball to singing and dancing, he didn’t back down. Kaminsky did the same, you might remember, while making an appearance at ESPN studios after this past season. Kaminsky probably wasn’t the first player to utilize this tactic when celebrating a Final Four berth, but he definitely pulled it off the best. How could we forget this? 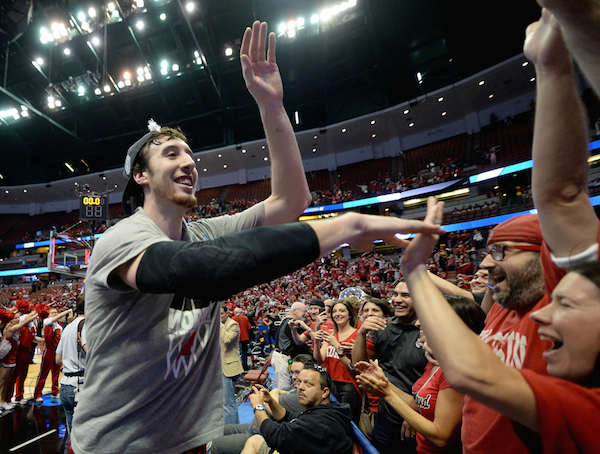 Kaminsky took over SI’s Twitter account in May and really kicked the engagement up to a new notch. 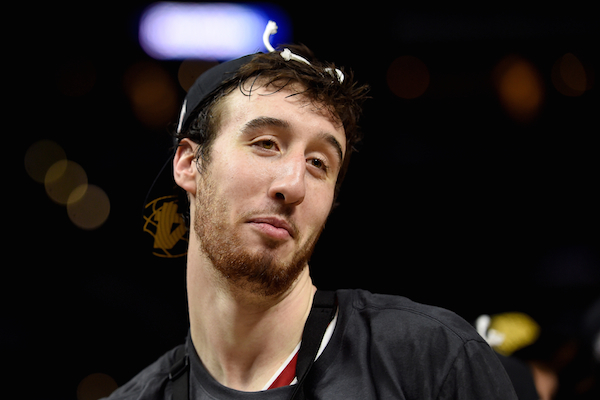 @SInow @FSKPart3 last one what is your whole name ?? @SInow Frank, most cheese curds you've eaten in a day? @SInow do you think a badger would actually make a good pet? @SINow Who taught you to dance? Seriously, he smacked a water bottle off the podium while doing so.